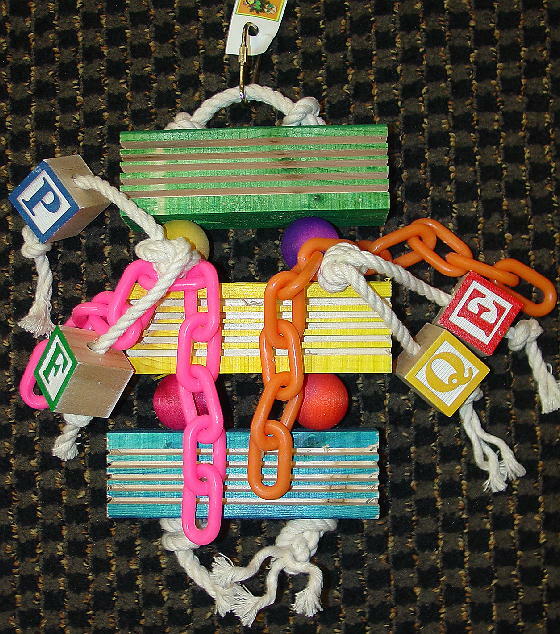 Dimensions: 10.5"H x 6"W in overall size. 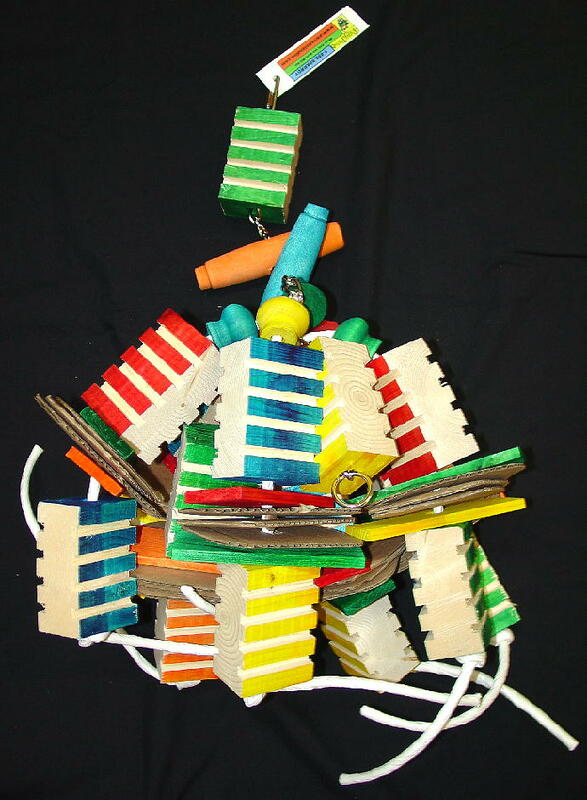 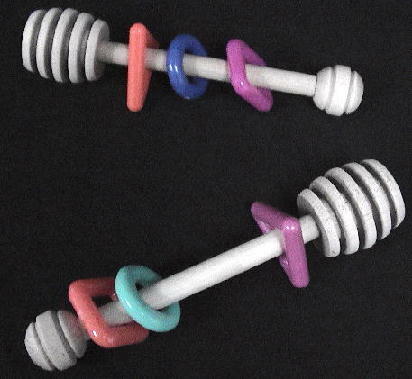 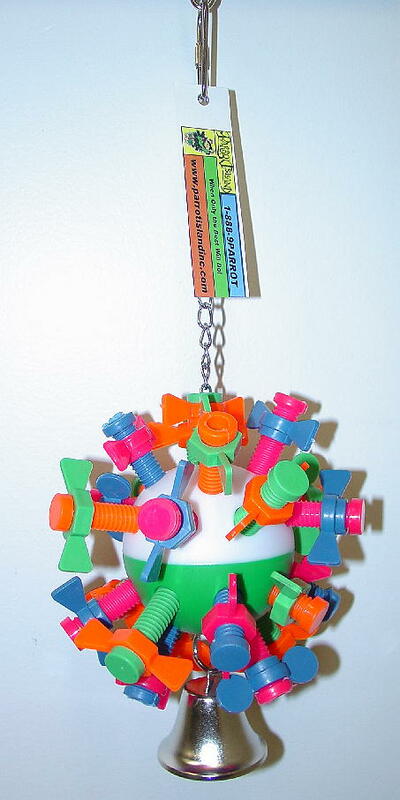 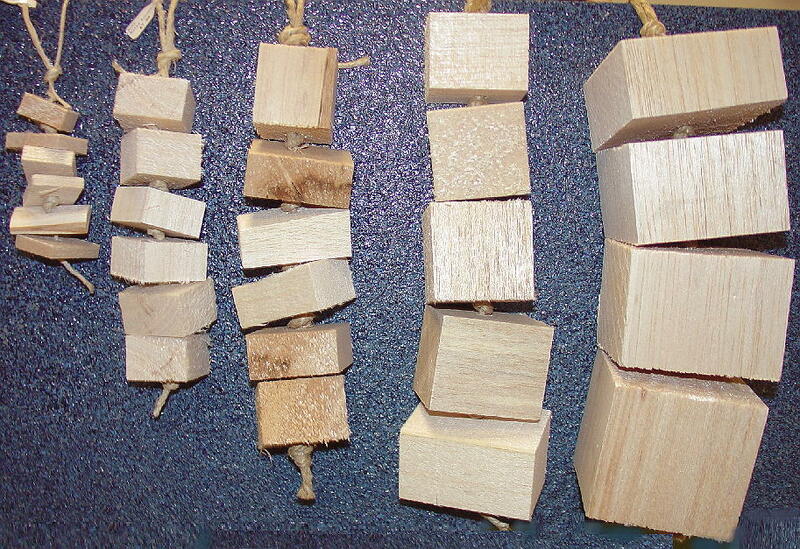 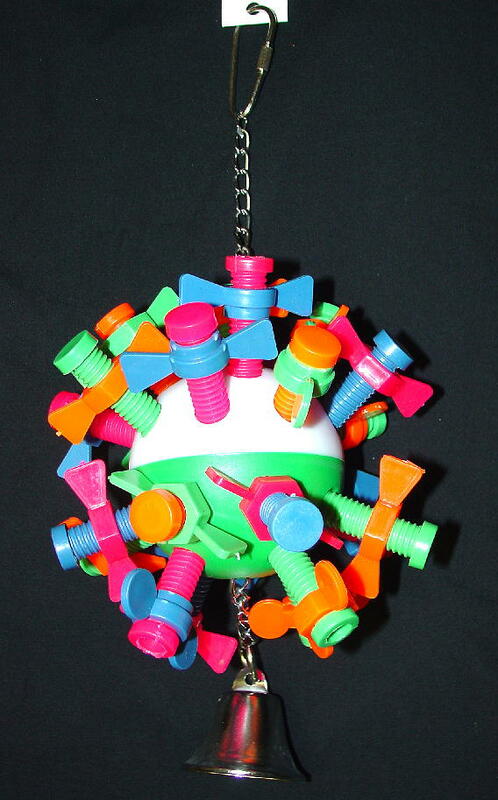 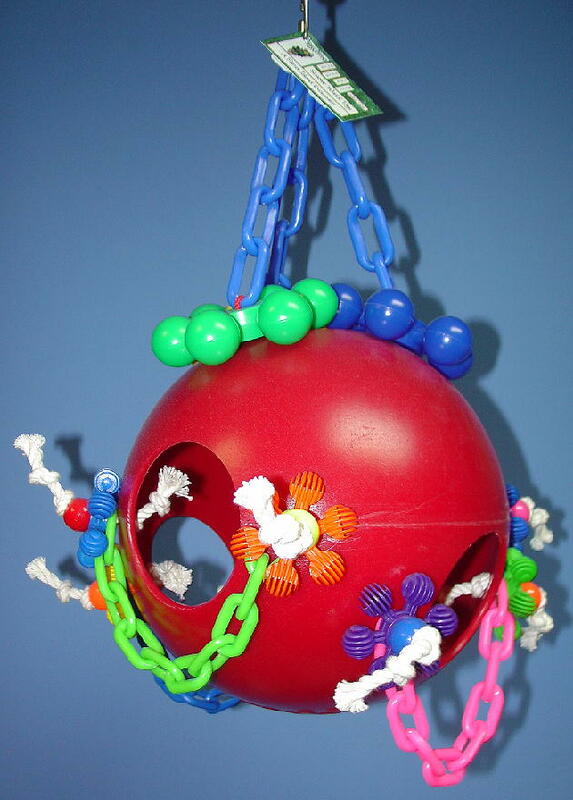 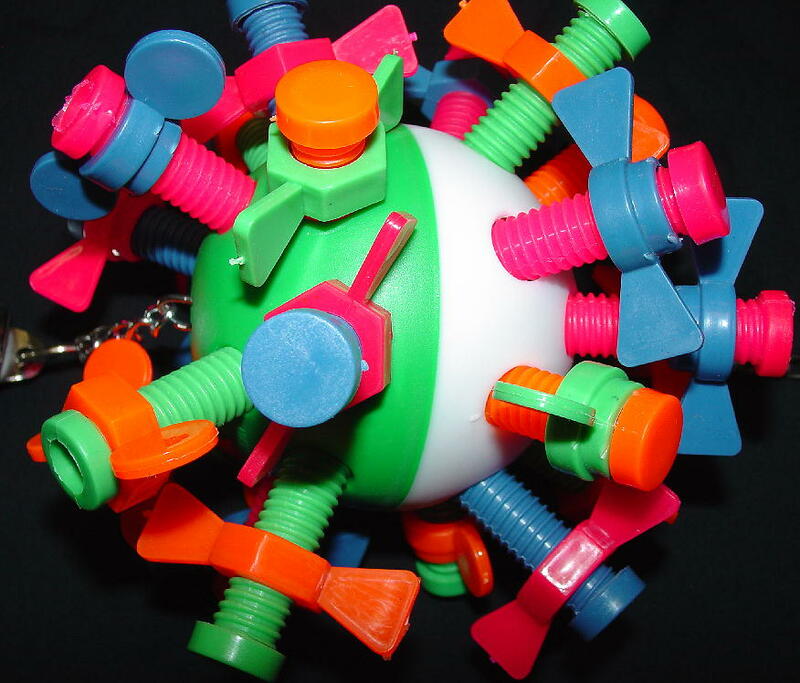 This toy is made with a baseball size whiffle ball that has each hole stuffed with one of our Small Nuts and Bolts Toy Parts hung by chain and stainless hardware. 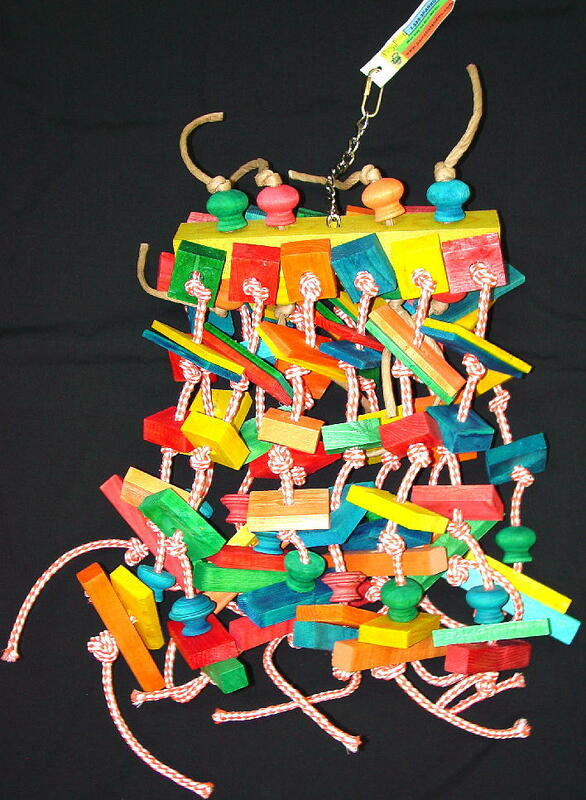 We recommend the Gadget Sunburst Toy for Senegals, Pionus, Caiques who like larger toys and up to Amazons, African Greys, Eclectus and similarly sized birds.